A spicy and tasty dish, suited in winter and rainy season. Mix water, gram flour and salt to make thick batter - like consistency. Keep aside. Cut the boiled and peeled potato in 4 pcs each. Mix lemon juice, salt and chilli powder together to make a paste. 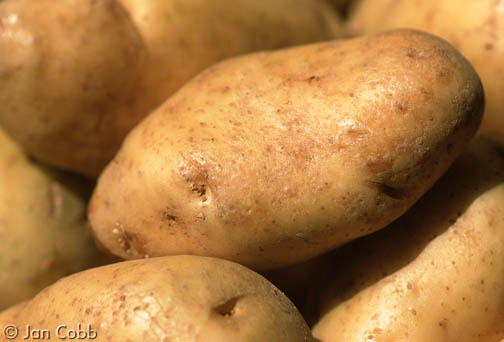 Spread this paste on the potatoes and then join two pieces of potato to form a half potato shape. Do the same with other pieces. Heat enough oil for deep frying in frying pan. Garnish with coriander. Serve with imli chutney. Serve hot.